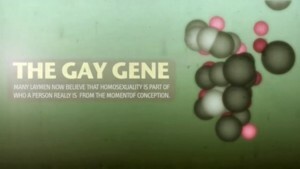 Being gay could be in the DNA. However, it also raises the prospect of a genetic test that could be used by insurance companies to discriminate against clients or by pregnant women to abort gay babies. In the study, Chicago University researchers analysed the DNA of more than 400 pairs of gay brothers, recruited at Gay Pride festivals at marches over several years.